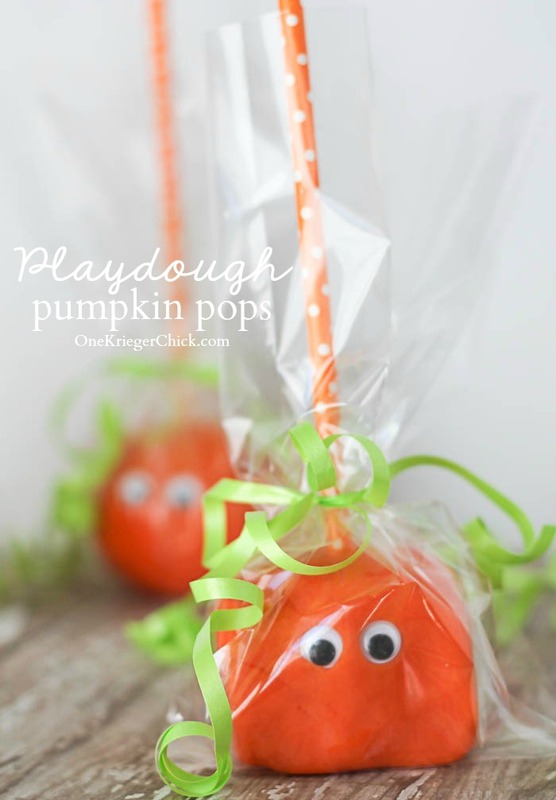 They are quick, easy, inexpensive, non-candy, and the play will last for hours! So many “Wins” in one simple recipe! 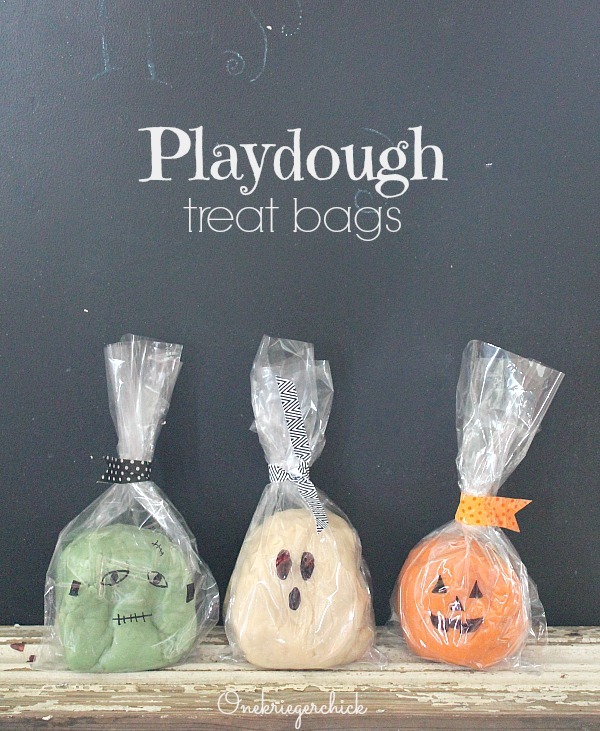 First, you’ll need to whip up a batch of my Favorite Playdough Recipe. Depending on the size of pumpkins, you may need to make 2-3 batches. I made 2 batches for a class of 12 pre-schoolers. The pumpkins were about 2.5 inches in size or about two times the amount of playdough in a small store bought container. 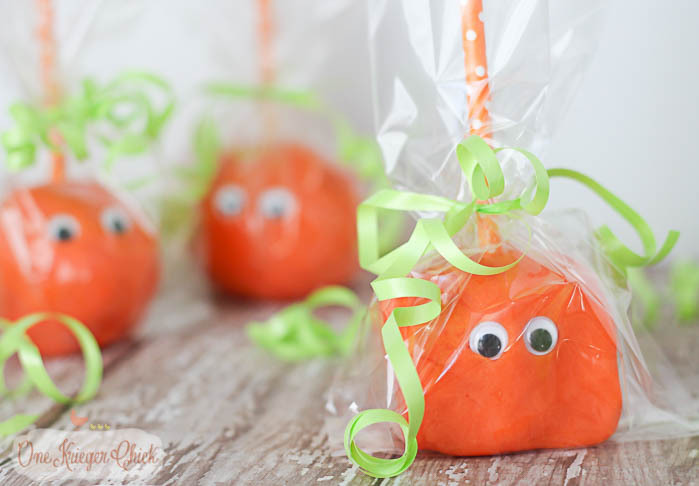 Add orange food coloring if you desire a brighter orange color. Then shape the playdough into round or square pumpkin shapes. We LOVE “Spookley the Square Pumpkin” books, so the square pumpkins were a big hit with my boys. 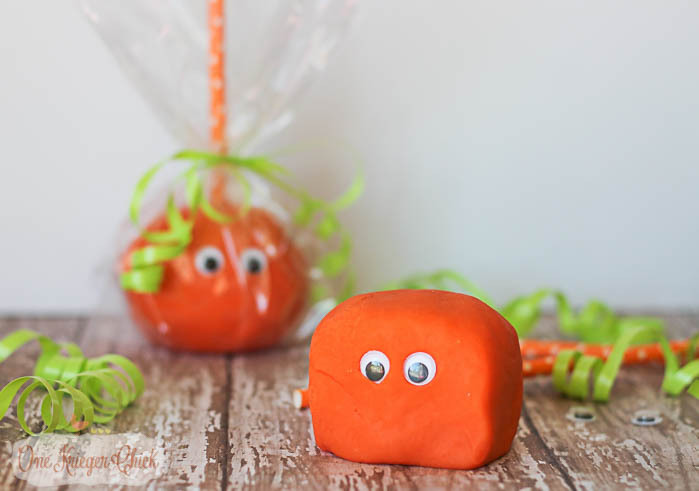 Press a couple googly eyes into the playdough, stick a paper straw in the top of the pumpkin, wrap the pumpkin in a small plastic bag, and tie a curly ribbon around the top. If you’re concerned the googly eyes will be a choking hazard, glue them to the front or draw a face on the front of the bag with a permanent marker. So cute, right! And…so much better for kids than candy! Hope you’re having a Happy Halloween week!